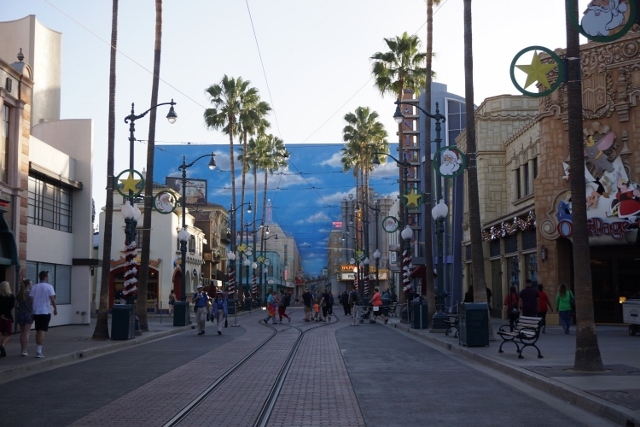 On day 2 of our Disneyland Resort, Anaheim. 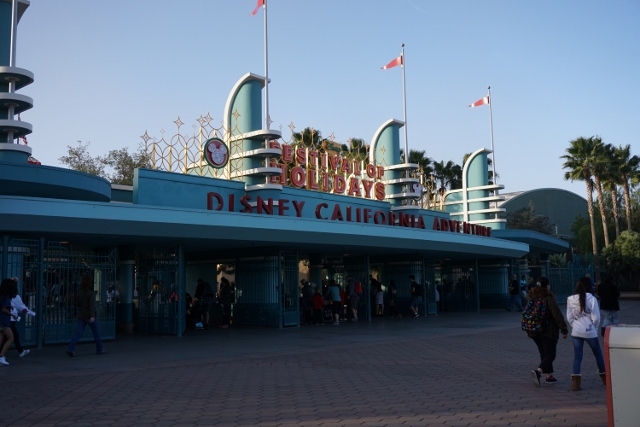 Our plan was visiting Disney California Adventure Park on the day. 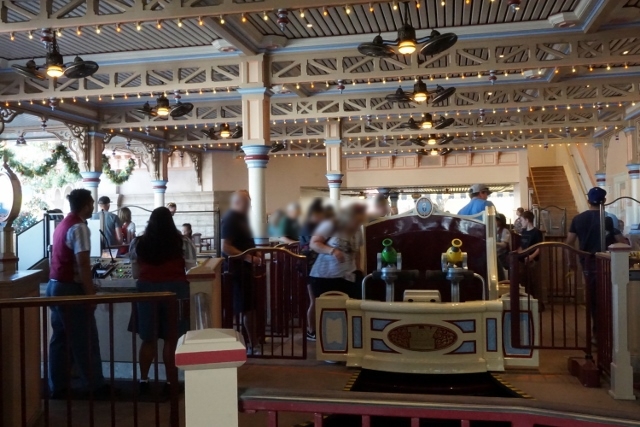 We left hotel at 7:30am, and got the park at 8:00am, opening time. 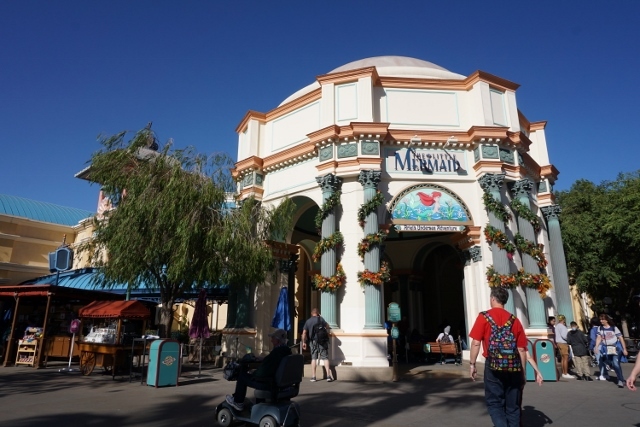 Let's try Attractions in morning! 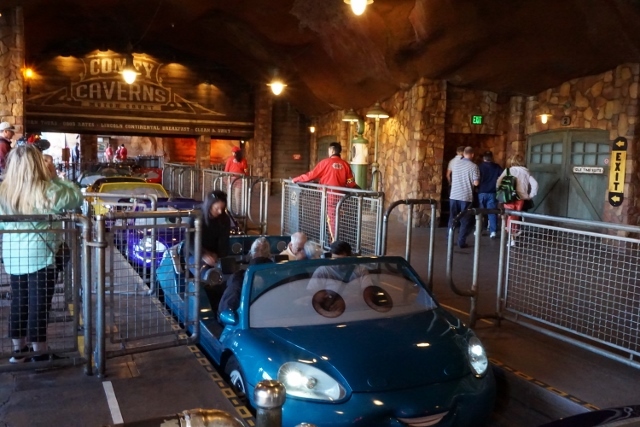 While walking to the first attraction, I got FastPass of Radiator Springs Racers by MaxPass. 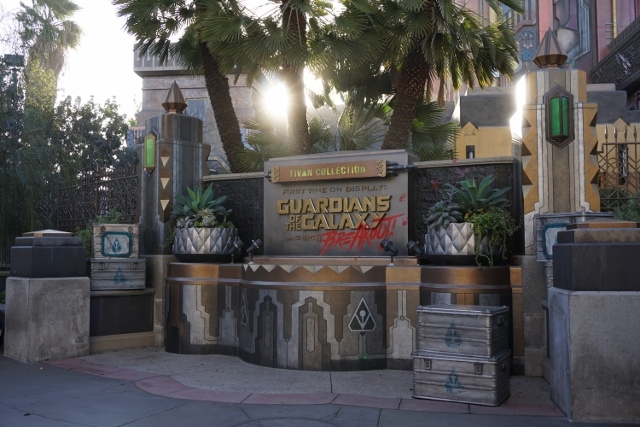 Then we were in line of Guardians of the Galaxy – Mission: BREAKOUT! Almost no waiting time. 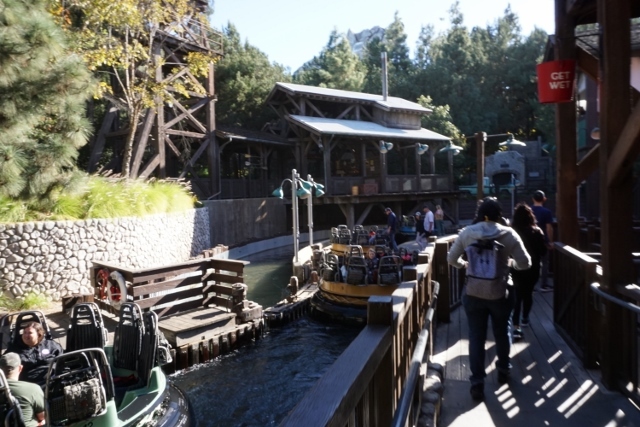 I feel more fun than Tower of Terror in Tokyo DisneySea, because of the happy music, even though the mechanism of both attractions are same. 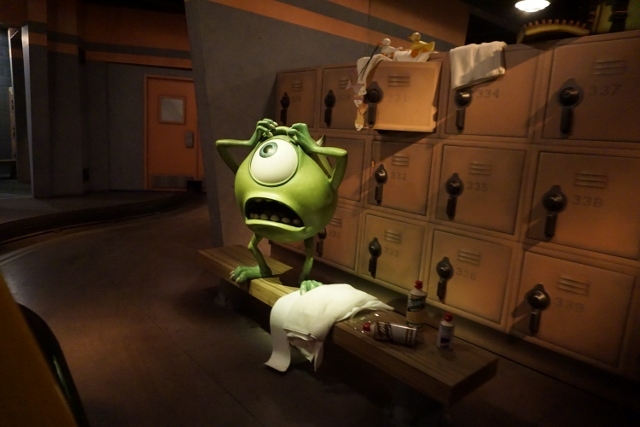 8:30am, we tried to Monsters, Inc. Mike & Sulley to the Rescue! 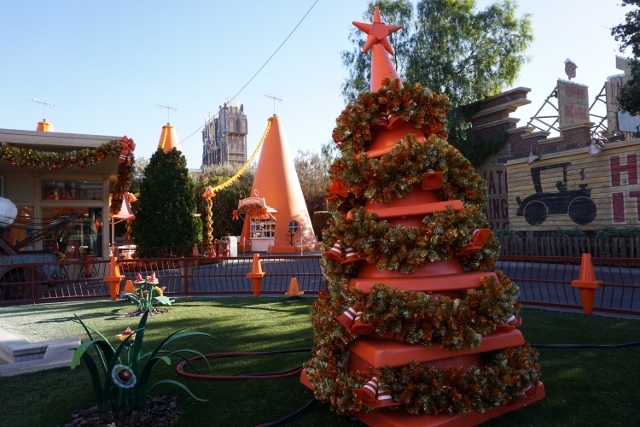 Cars Land was garnished with Christmas decorations! 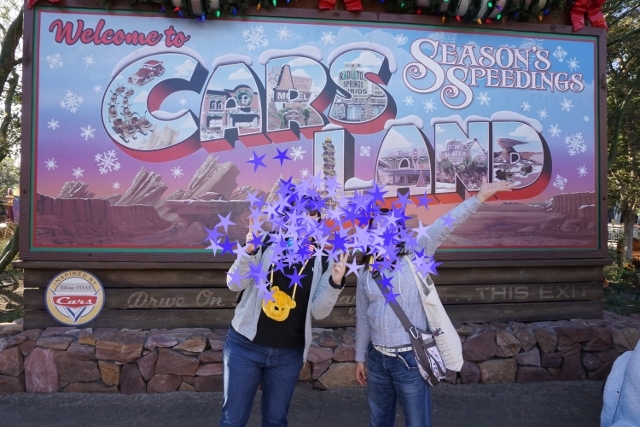 We found a PhotoPass cameraman, and asked him to take our photo. 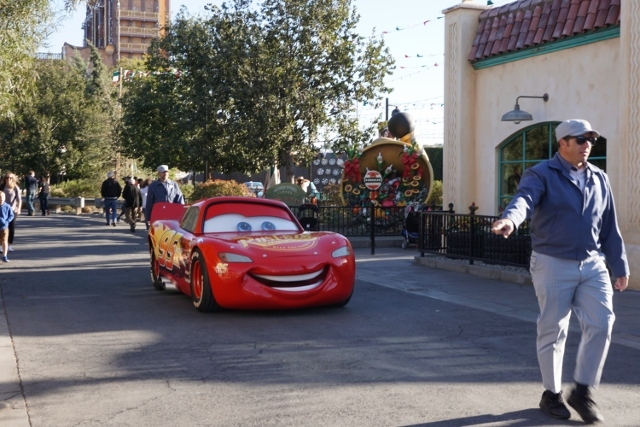 Oh, Lightning McQueen was coming! 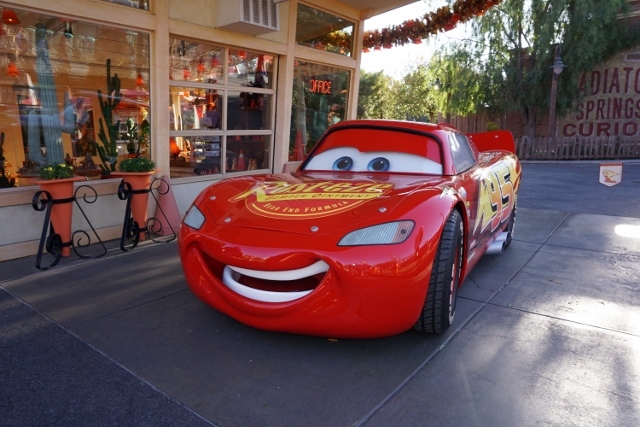 He came to Cozy Cone Motel to meet and greet guest. Of course we took pictures with him. 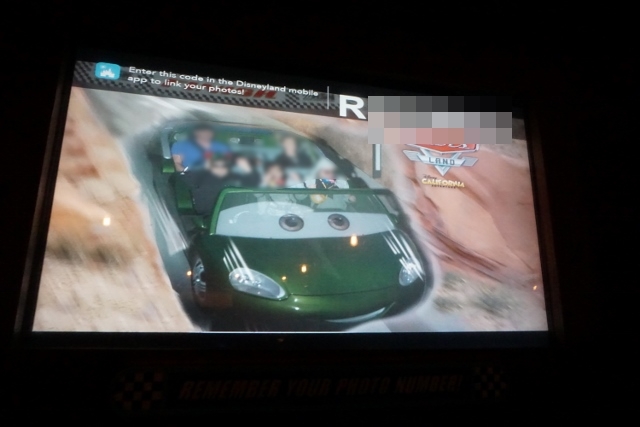 It was still 9:00am when we rode Radiator Springs Racers. 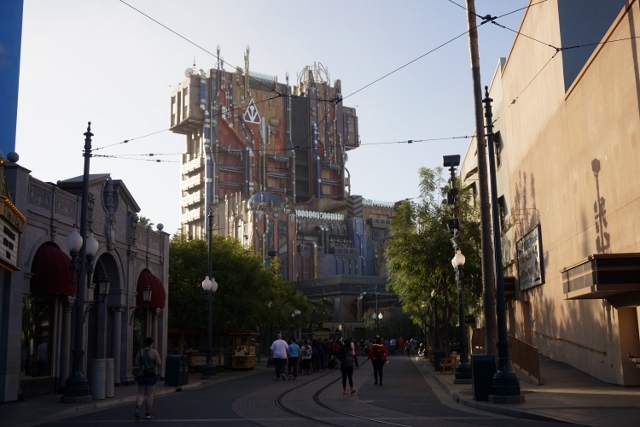 For you information, Attraction photos can be downloaded with MaxPass. So, I took picture of Photo ID in stead of writing down it. Let's go more! 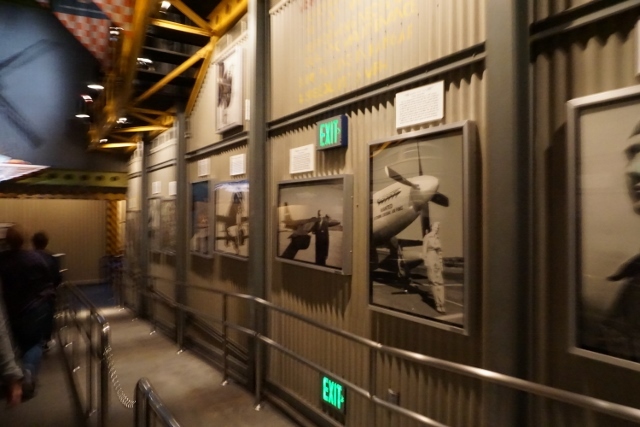 9:30am, Soarin' Around the World. 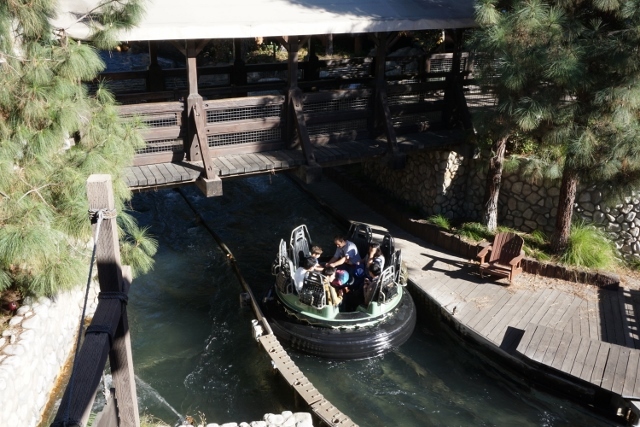 10:00am, Grizzly River Run. 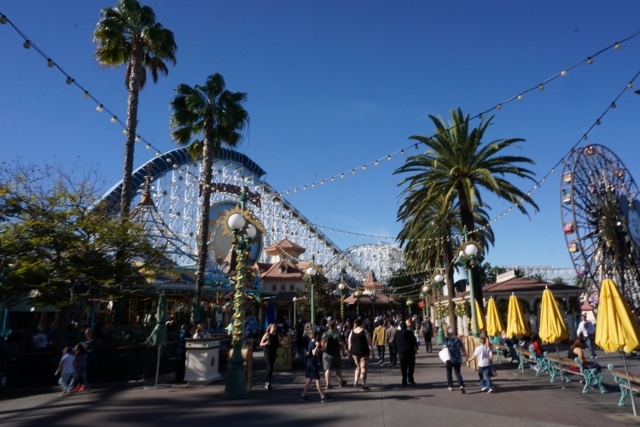 Moved to Paradise Pier. 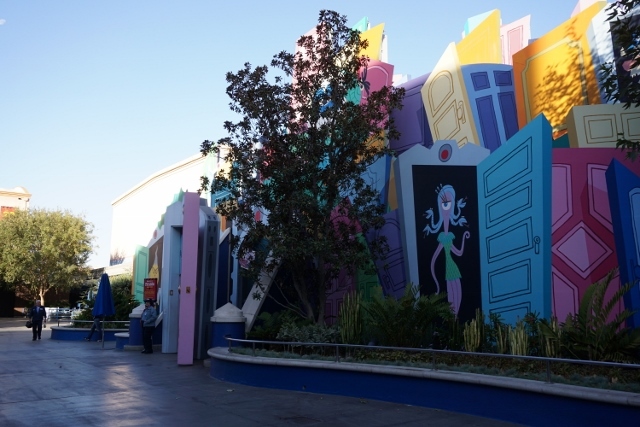 We could make shortcut to Toy Story Midway Mania! by FastPass. 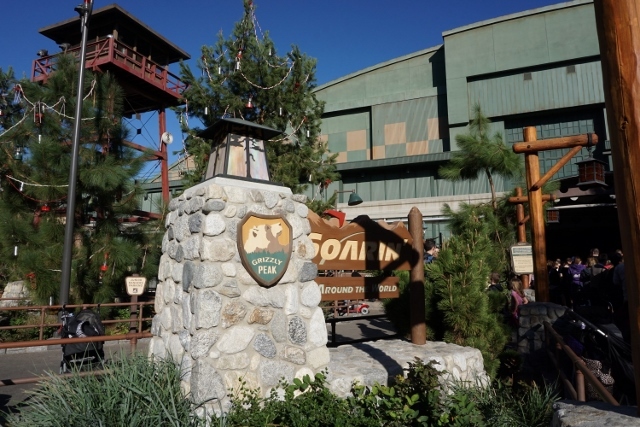 It is popular, but no need to rush because FastPass didn't run out in the morning. 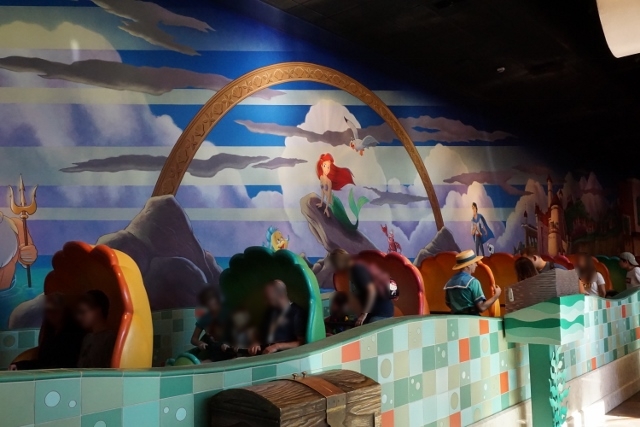 We couldn't try Goofy's Sky School due to refurbishment, but we could enjoy all FastPass Attractions except it during the morning! 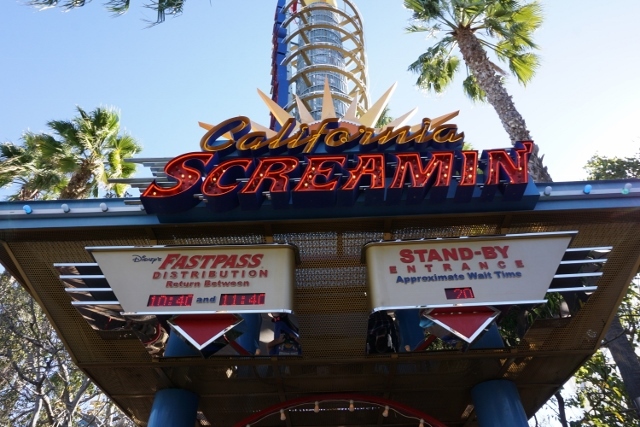 One of the reason is it was weekdays, but I think most guests in California are sleepyhead. Our plan (wake up early and go Attractions during morning) was good. 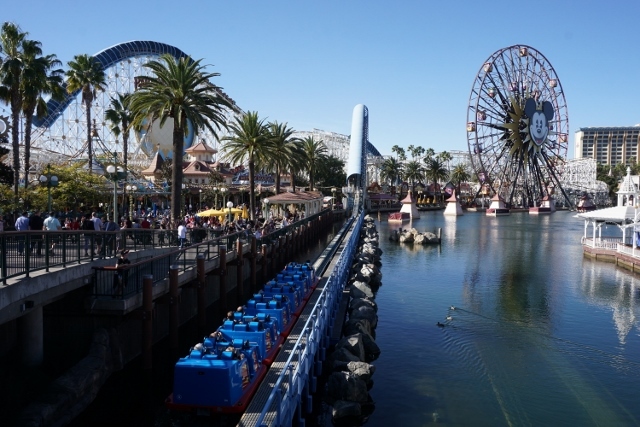 Next blog, I will report our lunch, World of Color Dining Package.